Travel credit cards are perhaps the most well-known and obvious way to earn points, with sign-up bonuses and rewards per dollar that add up quickly. Some people have many cards and are constantly churning them, but if you want to keep life simple, I recommend a flexible-redemption bank card where the points are treated as cash across any airline. Personally, my preferred card is the Chase Sapphire Reserve. The most valuable cards are the flexible ones. ﻿﻿Shopping portals are a lesser-known but equally powerful tool! 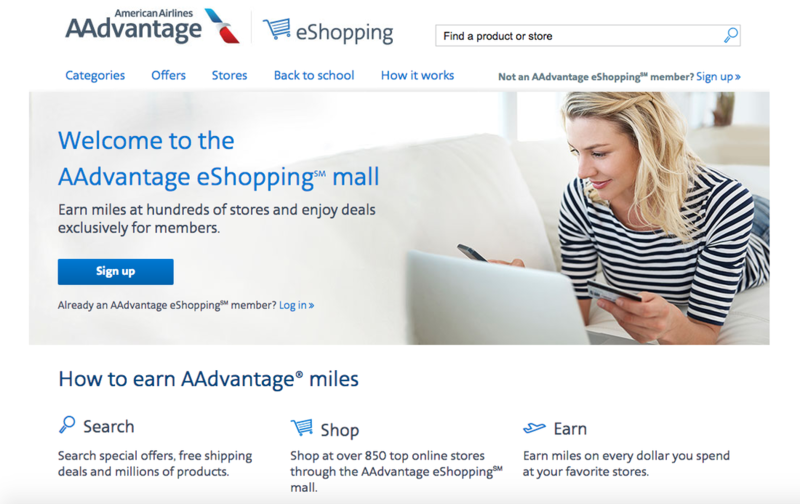 Any online purchases you're making (especially large ones) should be done through portals (AAdvantage eShopping, Mileage Plus, Delta SkyMiles, Ultimate Rewards, AmEx among others). 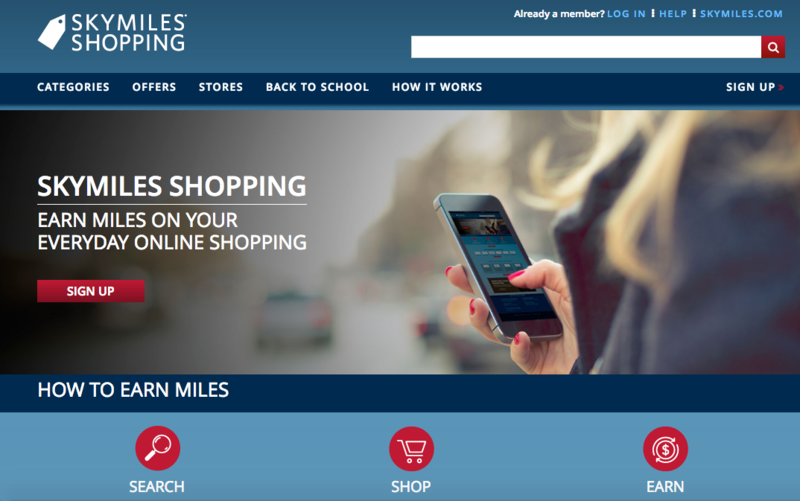 Once you sign-up, these allow you to earn a fixed # of miles per dollar when you make online purchases through their links to popular retailers such as Sears, Groupon, Best Buy, Home Depot, Macy's, ProFlowers, Dish, and many more. For example, American's shopping portal gives you 3X miles for each dollar you spend at Drugstore.com. Coupled with a reward credit card to actually purchase it, that's 4X miles. I recommend checking evreward.com, a site that lists the earn rate across many shopping portals. Dine out a lot? Earn miles for doing so! 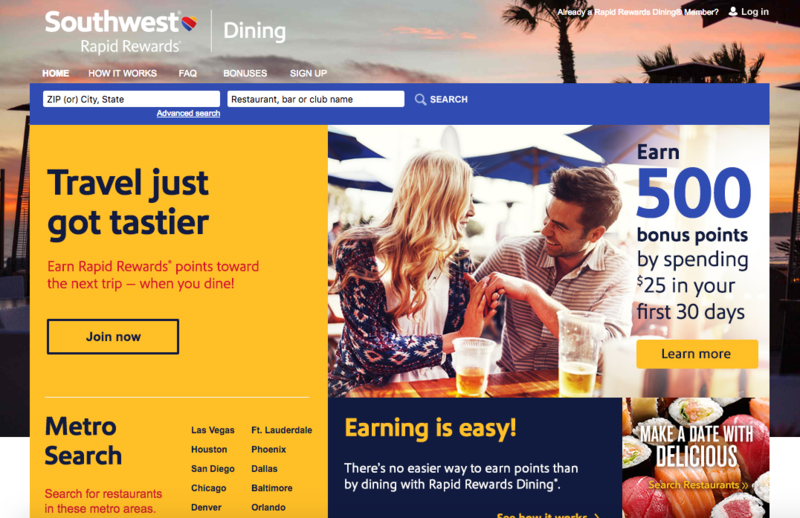 Most of the airlines have dining programs where you can register your credit cards for free (Delta, American, United, Jet Blue, Southwest, etc.). Whenever you dine at restaurant within their network and use your registered card to pay, you'll receive 3-5 miles per dollar spent. 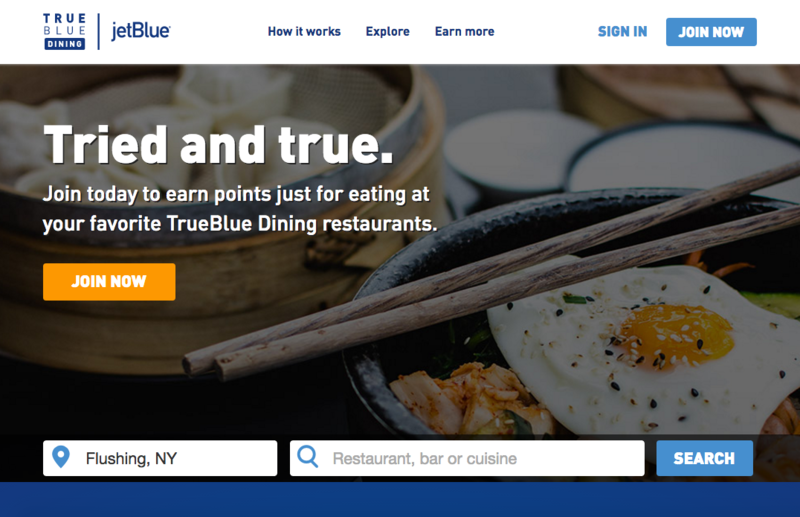 My strategy is to register my Chase Sapphire card, which offers double miles on dining, plus 3-5 miles through the dining program. Many cards have referral programs, where you can earn bonuses when friends and family sign-up. 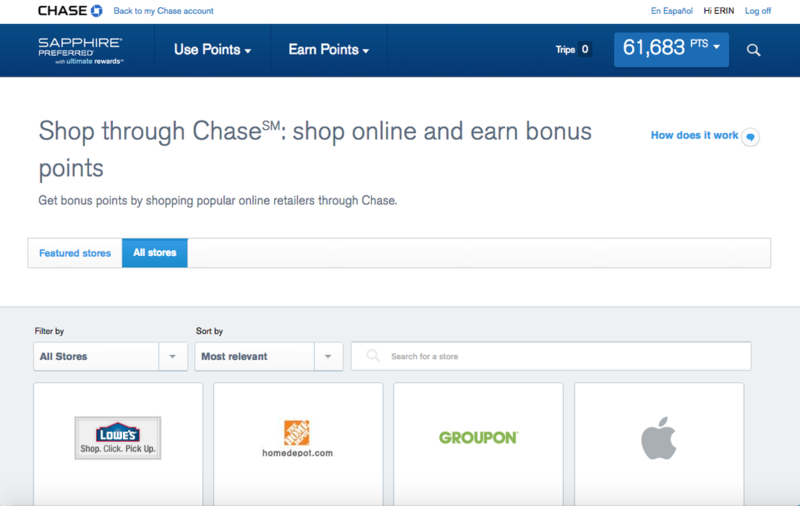 Chase Sapphire has the best bonus program offering 10,000 miles. Other cards that do this include Delta (5,000 miles), Chase Freedom (5,000 points), etc. As the Chase Sapphire has the best referral bonus, I've included my referral link in case you want to sign up and help me travel too! Hotel loyalty programs like Starwood Preferred Guest, Marriott, Hyatt and Hilton have loyalty programs where you can sync your frequent flyer numbers to your account and receive airline miles for your stays. This is an either/or situation, you cannot earn hotel points AND miles. Most airlines have deals with rental car companies offering bonuses when you book with a code. Check on your preferred airline's website for links to each rental car partners. You'll often need a code. When you have your Lyft account linked to airline programs, your Lyft rides ladder down to airline miles. Lyft is especially competitive on rides to/from the airport. You can double-dip Delta and TrueBlue miles for Lyft rides to the airport, since Lyft gives you 2 Delta Skymiles per dollar spent to the airport (versus 1 point/dollar on other rides) PLUS 30 Jet Blue True Blue points for rides to/from the airport. New to Lyft? Jet Blue gives you $15 off your first Lyft ride +750 True Blue points when you sign up and Delta gives you $20. Yes, you can even earn miles for going to a Broadway show! Audience Rewards is an online ticketing program where shows offer bonuses (usually 1,000 - 3000 points) when you buy tickets to their shows. They also offer select pre-sales where you can nab tickets before they go on sale to the general public. Theater lovers rejoice! 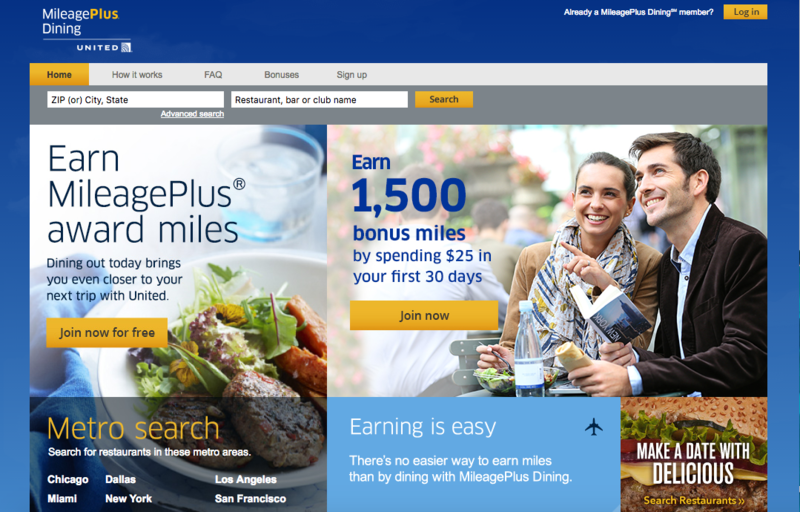 Shopping portals, dining programs and the airlines themselves offer bonuses throughout the year. For example, American Airlines offers a great holiday shopping bonus (around Black Friday) where you can earn up to 5,000 miles for spending certain amounts. Follow your preferred airline's twitter accounts and sign-up for their newsletters for the latest updates as these happen quite frequently. Write a formal complaint on the airline website if legitimately warranted. When you submit officially with the complaint systems, they are legally required to respond. You are more likely to get travel credits or miles as a make-good if you ask for a manager who has more authority to grant miles. Additionally, if you booked a trip with one of your travel credit cards, file a claim with them as well. The trip insurance protection often cover delays and cancellations. Use one or all of the above tactics to keep your miles from expiring. You should never pay a fee to keep your miles active or feel pressured to book with a specific carrier. Even little things like ordering a magazine subscription with your miles can count as "activity". Contact your airline to get the specific details of their plan, but most of the tactics above will keep your miles from ever expiring. Elite challenges, cards and match programs. Airfare search engine tips and tricks. We recommend Chase Sapphire or American Express. Buying something online? Get miles on top of it. Is Airline Loyalty Worth It? Depends on the type of traveler you are. Formula of when to pay cash versus use miles. Hi, I'm Erin. New Yorker, digital marketer and travel ninja! I travel on points and miles. 36 countries and counting! Follow along @TravelPointers as Jason and I see the world!